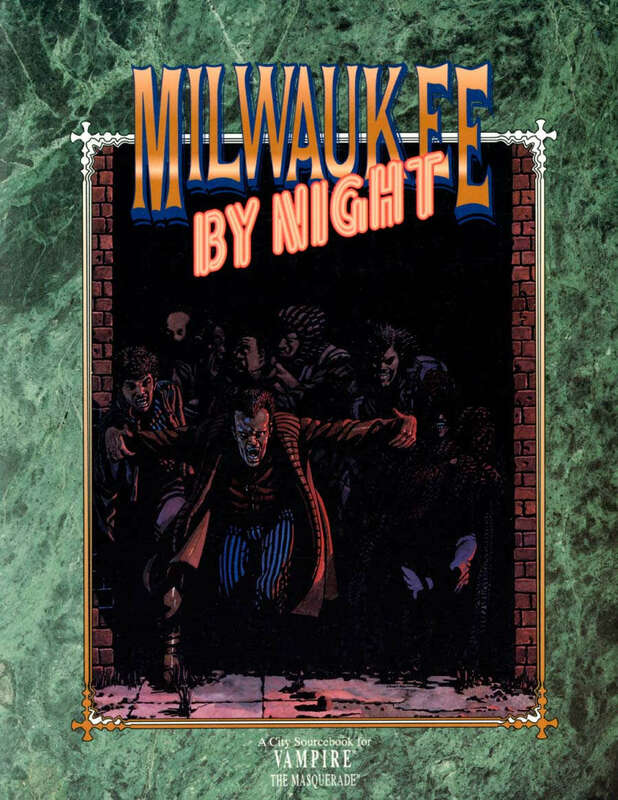 Created on the site of an ancient battle, blood still flows through the streets of Milwaukee each night. Werewolves emerge from the shadows to seek out their ancient enemies—you, the Vampire. For years the Anubi have protected their Kindred in the city, but their strength is waning. Now the ravaging packs of Lupines sit just outside the city, mouths salivating at the delights which shall soon be theirs. The Story "Psychomania", a surreal psychological thriller designed to thrust your characters deep into the heart of the turmoil which is Milwaukee. Descriptions of the leading Vampires of Milwaukee—more than 20 of the most desperate Kindred above the earth. A history of the area dating back to the 17th century. A geography section detailing the most deadly sections of this violent city. Expanded information on Lupines, their motivations and their powers. The bookmarks on the PDF file could do with being cleaned up, there's a bunch of spelling errors.